Make the Fujifilm Instax Mini 9 A Part Of Your Holiday Memories This Year! 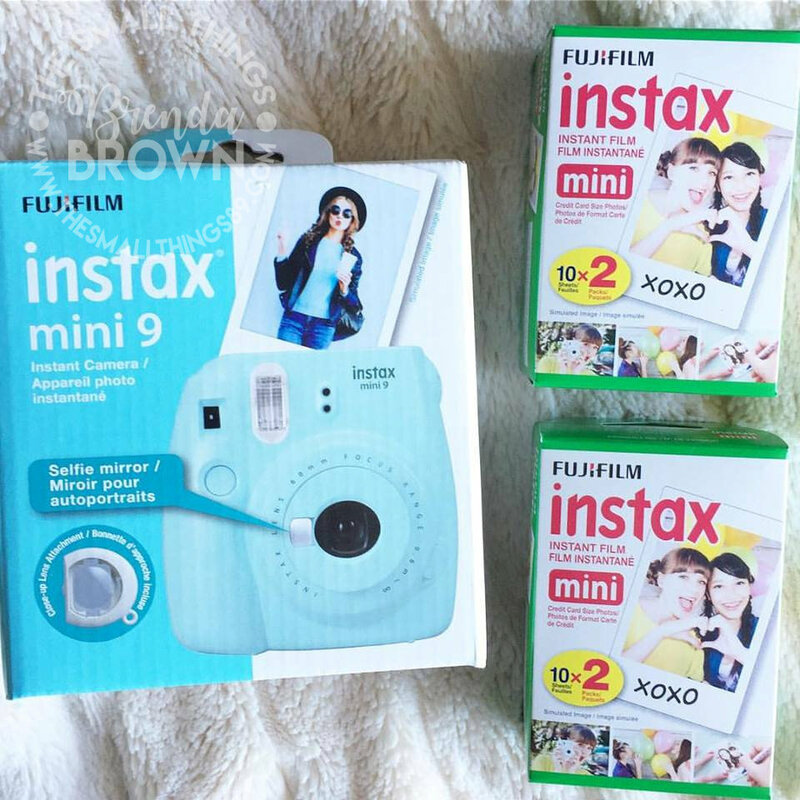 HomeMake the Fujifilm Instax Mini 9 A Part Of Your Holiday Memories This Year! My tween and I love taking photos. She loves digital photos, however, she has a space in her room where she likes to keep printed photos. Thanks to Fujfilm, the all new Instax Mini 9 can allow her to snap a photo and print it immediately. This is an upgrade from the 8, as it has new features that you will love, especially if you are a selfie taker! The new Instax Mini 9 comes in 5 colors! It also has a selfie mirror on the front of it! The Instax Mini 9 has a close-up lens attachment on it as well. This lets you take photos up to 35 cm away as possible. You can set brightness by adjusting the dial to high-key mod as well. Press the button beside the lense to power on, adjust the dial and shoot! instax mini 9 automatically determines the best brightness for taking a picture, and informs you of the suitable setting by lighting the corresponding lamp.Turn the brightness adjustment dial to the position (mark) of the lit lamp. Overall, we love the Instax Mini 9! Lydia loves it too and she will be using it often! This will make the perfect gift this Holiday season! You can find the Instax Mini 9 in a store near you or on Amazon below! Be sure to visit Fujifilm on their social channels below to stay up to date with the latest. ___________________________________________________ Win it: One reader is going to win their own Fujifilm Instax Mini 9 in a color of their choice and two packs of film! Giveaway ends 11/16. All entries will be verified. Winner will have 24 hours to reply to winning email. Enter below! I must have Cobalt Blue! I love this camera and color! I think I would choose the Ice Blue color. I would choose the ice blue. Or maybe the spooky white. I love them all! The Lime Green colored camera is my favorite one. I would choose Flamingo Pink! I'd like the cobalt blue color. I would love the Lime Green camera. I would love the lime green. I love the colbalt blue color. I love all the colors but for the most fun I would choose the Flamingo Pink! I would love to win the Pink one but any color would be great with me. If I win, I will choose the ice blue. Such a cute color!